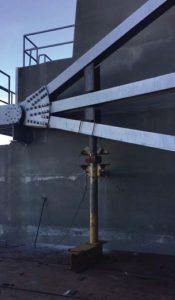 Spillway Tainter Gate Repairs, Harlan County Spillway | OCCI, Inc.
OCCI completed the project as the prime contractor. 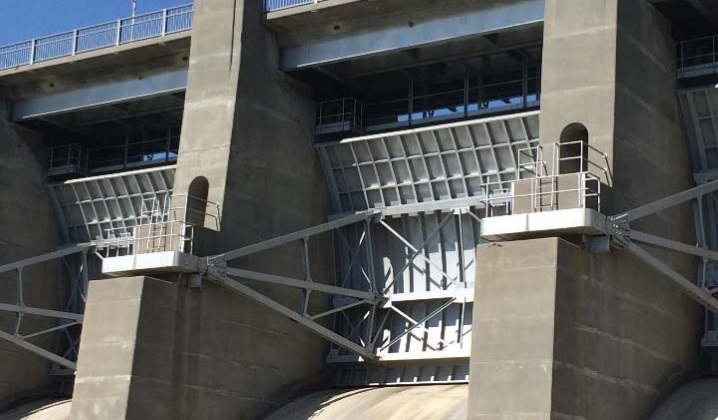 This work included removing and installing trunnion bearings, steel repair, and extensive weld repair on the 18 tainter gates on the emergency spillway. 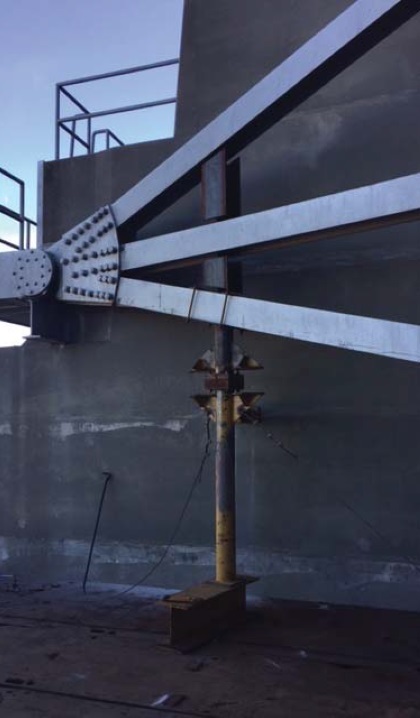 In addition all of the gates were blasted to remove existing lead paint then coated with a vinyl paint system and the operating machinery & catwalk steel with an SSPC 26.00 system. Missouri Fabricators fabricated 36 bearing arms involving fracture critical members and complex welded connections. 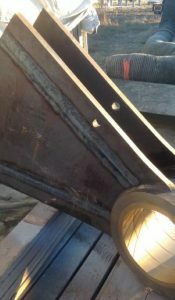 Seven stoplogs were also fabricated and painted. Trash racks were also fabricated, machined, painted, and installed for the project.